Senator Ron Wyden (D-OR) introduced S. 3501, the Senate companion bill to H.R. 1831, the Industrial Hemp Farming Act of 2011. Currently, federal regulations prohibit states, even if they have laws on the books allowing the growth of industrial hemp, from allowing farmers to use what he calls an “important crop”. 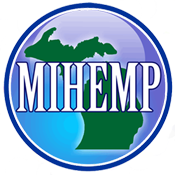 MIHEMP encourages all members and anyone with a passion for this issue to utilize the links below to contact your US Senator to encourage them to support The Senate Industrial Hemp Farming Act, HR 1831. In addition, contact your US Representatives to ask them for their support when this passes the Senate and comes across their desk. And be sure to thank Sen Wyden and other supporters for their cosponsorship and support for this legislation. LOC page for the text of HR 1831. VoteSmart.org, to find out who your elected officials are! If you have any questions, contact VoteHemp.org, or MIHEMPs Director of Communication, Paul Pearson at 281.826.4550, or MIHEMPs Executive Director, Everett Swift at 989.884.1139.